If you’re available on the 28th and 29th March, why not come and join us at the B2B Marketing Expo & Sales Innovation Expo? These two sister events are running alongside each other at the Excel Exhibition Centre, and FIVE CRM are proud sponsors of both. There will be all kinds of presentations, talks and workshops going on throughout the two days, providing invaluable information about all things sales and marketing – and admission is totally free! 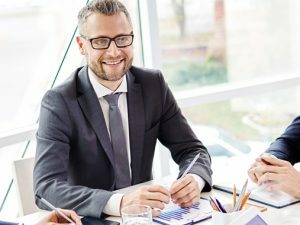 Two interconnected events, the B2B Marketing Expo and Sales Innovation Expo, are taking place at London’s Excel Exhibition Centre on the 28th and 29th March, between the hours of 10am and 5pm on both days. 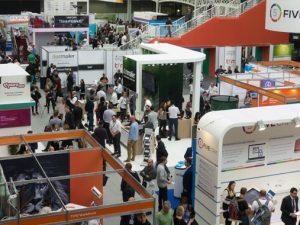 Admission is free to delegates, and you can register for your free tickets at www.b2bmarketingexpo.co.uk and www.salesinnovationexpo.co.uk. Both expos are great for informal networking, catching up with what’s new and exciting in the sales and marketing sphere, and for the talks and workshops that will be running throughout both days. Across these two events, there will be up to 200 exhibitors, 35 masterclass seminars, and 95 talks led by sales and marketing experts from all over the industry. Both expos are running from the same exhibition hall at the Excel Exhibition Centre. It brings us great pride to announce that FIVE CRM be represented on stage by two brilliant keynote speakers; Liz Jackson MBE and Richard Woods. We are honoured to be represented at the Sales Innovation Expo by the accomplished and inspirational Liz Jackson MBE. Liz began her entrepreneurial journey at the age of 25 when she founded Great Guns Marketing, which she grew from a solo operation in her living room to an enterprise with multiple branches across the UK and Ireland with over 100 staff. She received an MBE from Her Majesty the Queen in 2007, placing in the New Year’s Honours List for her services to business. Sadly, the same year that Liz founded Great Guns Marketing, she totally lost her eyesight due to a degenerative eye disorder, but she has never let that stop her incredible drive and business acumen. Liz ran Great Guns Marketing for 17 years, but now holds the position of Marketing Director at BCMS, a specialist mergers and acquisitions company, as well as being a keynote speaker in her own right. Visitors to the event can check out Liz’s speech at the Keynote Theatre on Tuesday 28th March at 1:15 to 1:45pm. Richard now runs a number of businesses based around digital marketing, creative services, fuel distribution, and property and asset management. 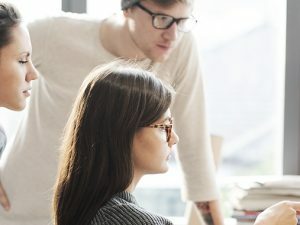 His latest venture “The Digital Trailblazer” aims to help grow small service-based businesses using up to the minute digital marketing techniques; and the accompanying book quickly became an Amazon #1 Best Seller. You can catch Richard’s talk at the B2B Marketing Expo’s Theatre 4 on Tuesday 28th March at 3:30 to 4:00pm. A wide number of free expert masterclasses are available across both events, and require pre booking (through this link). 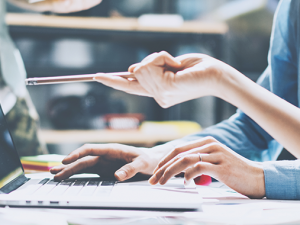 These classes will cover practical and sought after topics like digital marketing, SEO, lead generation, traffic and conversions, and business growth. FunneeBiz Comedy Theatre, in conjunction with Vincis, are running short sales-oriented stand up comedy sets throughout both days. Stand up comedians Dave Williams and Nikki Take, “The Corporate Drag Queen,” will help you use humour in a sales environment to help give you an edge in business. You can also listen in on a number of interesting live interviews hosted by Will Barron, host of the award-winning Salesman Podcast, in the Expo’s first “Salesman Podcast Lounge.” Will will be interviewing a number of sales and marketing experts throughout the event, so come along and pick up some insight into some of the event’s smartest sales and marketing minds. The beauty of this modular approach is that if you don’t require all of the functionality, you only need to pay for which of the five solutions you will use. The entire suite is thoroughly customisable so there’s no need to change your current business practices, the software can happily mould around you. Come and speak to us at the B2B Marketing Expo’s stand B250, we can discuss how FIVE CRM can help you make the most of your current sales and marketing practices. We sincerely hope you’re able to join us; but if not, remember that you can always check out our free 14-day trial online at any time, or ask our online chat operatives any questions you may have about our packages. The B2B Marketing Expo and Sales Innovation Expo are running alongside each other at the Excel Exhibition Centre in London on the 28th and 29th March 2017. Opening times are 10am to 5pm on both days. You can grab your free tickets for admission here: B2B Marketing Expo, and the Sales Innovation Expo. FIVE CRM are sponsors of both events and are being represented by two excellent keynote speakers. Check out Liz Jackson MBE’s talk at the Sales Innovation Expo Keynote Theatre on Tuesday 28th March at 1:15 to 1:45pm; and Richard Woods’ talk at the B2B Marketing Expo’s Theatre 4 on Tuesday 28th March at 3:30 to 4:00pm. Come and visit us at stand number B250 and discuss how FIVE CRM’s stellar sales and marketing software can help you maximise your sales and marketing efforts.